With roots firmly embedded in New-Orleans flavoured Blues Funk and Reggae, Dillion James has re-birthed the Hammond Organ and honky-tonk piano, enveloping the classic tone associated with an earlier era. He integrates complex and diverse rhythms within his songs that provide the perfect context for his socially critical messages and growling bluesy lyrics. Of recent times, Dillion has been enjoying the centre of the stage, and is now one of Brisbane's hardest working original musicians. Playing Hammond Organ foot pedals simultaneously with melodies and vocals, all instrumentation is played organically without the need for looping or harmonising effects, all the while producing an amazingly full sound and an entertaining show. Combined always with drums and often guitar, saxophone and percussion, the Dillion James Band fill a festival stage, as well as touring as a duo or 3-piece band. Dillion has played gigs in every state in Australia, as well as internationally throughout Asia and performances in the USA. Whether holding the spotlight in his own right or slotting in as a session musician, Dillion's ability to tickle the ivories has long been recognised within the music industry. Often sitting in on keys with touring artists 8ball Aitken and Darren Jack, as well as local artists Angela Fabian and Mojo Webb, Dillion enjoys being part of the glue that binds melody and rhythm together. Bringing his freedom from the hills of the Atherton Tablelands, his musical style has become more inclusive, however not lacking in the raw gusto you’d expect from a blues, roots, reggae musician. 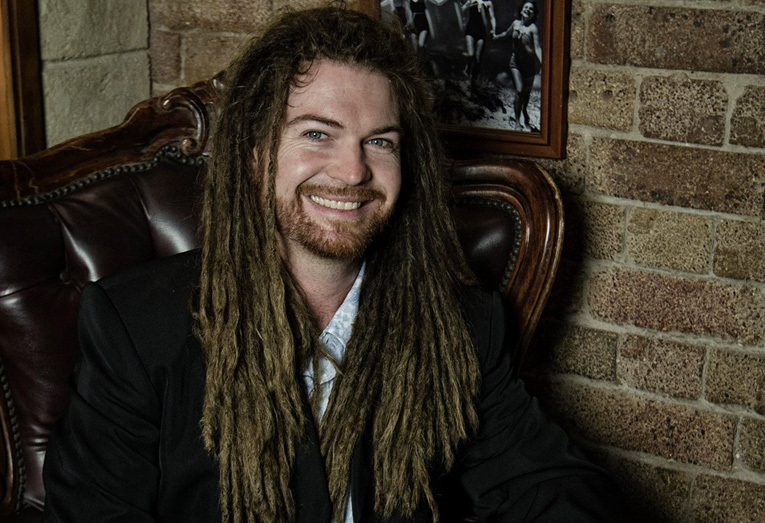 Whilst not travelling, Dillion performs with his band in South-East Queensland at festivals of the likes of Woodford Folk Festival, Blues on Broadbeach, Caloundra Music Festival and many more.